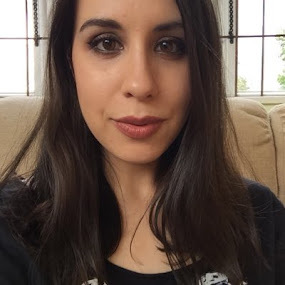 I have loved flowers and plants since I was a child, so when I found out that it was British Flower Week this week, I wanted to do a little feature on here to celebrate it. I wish I could say that the photos below were from my own home, but sadly I'm still living like a student in a shared house, so these pics are from my lovely aunt's home instead. She is a very keen gardener and has flowers and plants virtually everywhere, inside and out. We share a lot of the same favourites when it comes to flowers, and I hope one day that I can have a home as beautiful as hers in the near future. Something to aspire to anyhow! 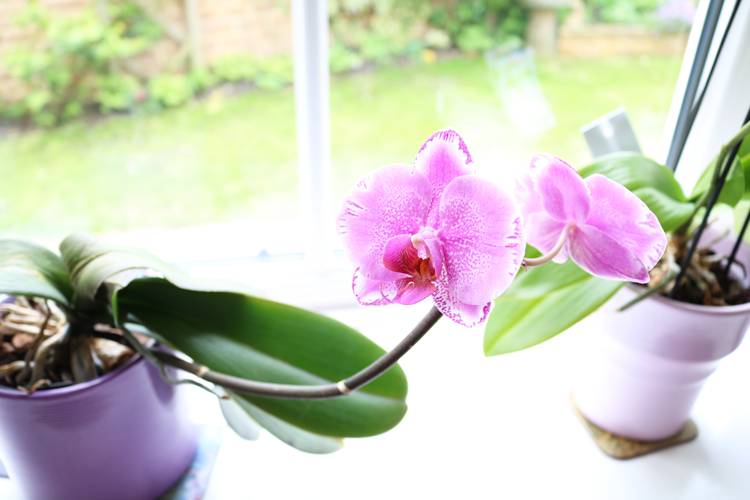 Of all the popular potted plants that you can have indoors, Orchids have been a longstanding obsession of mine. 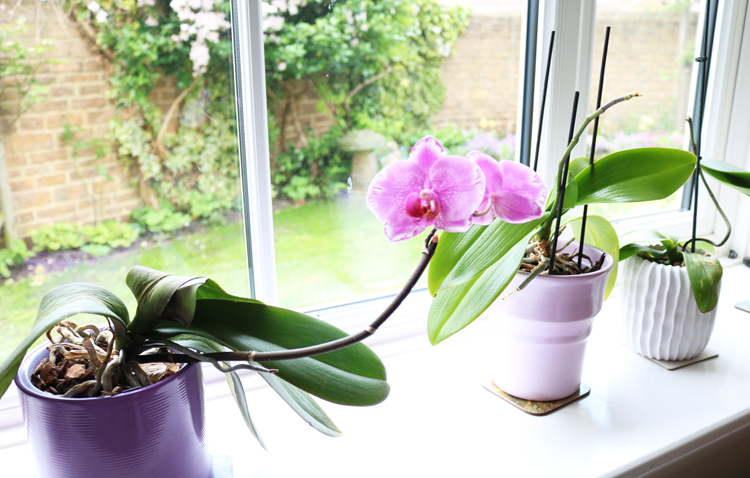 My own bedroom has only one in bloom at the moment, but my aunt has them along almost every windowsill in every room of her house. I love their elegant oriental appeal, and the different varieties that they can come in. 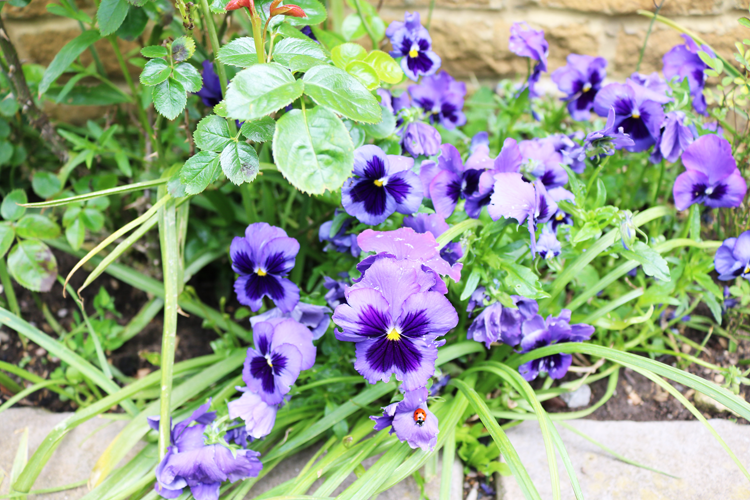 Outdoors: Purple Pansies - can you spot the ladybird? Outside, she has a variety of plants and flowers, with these purple Pansies growing in many little nooks and crannies all over her garden. These were my favourite flowers as a child as I thought they reminded me of something I'd seen in Alice and Wonderland; heir two-tone colour placement look like faces to me, and like Orchids, I really admire all of the different colours that Pansies can come in. 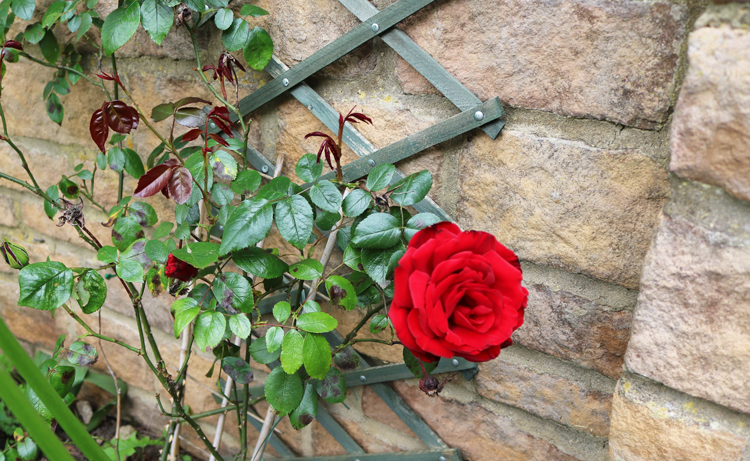 Ah roses, what garden could be complete without a rose bush? My aunt has only recently starting growing these in the last year or so, as I'm told they can be a little difficult to maintain, but how beautiful are the results? I was pleased to see this beauty in full bloom when I visited her. 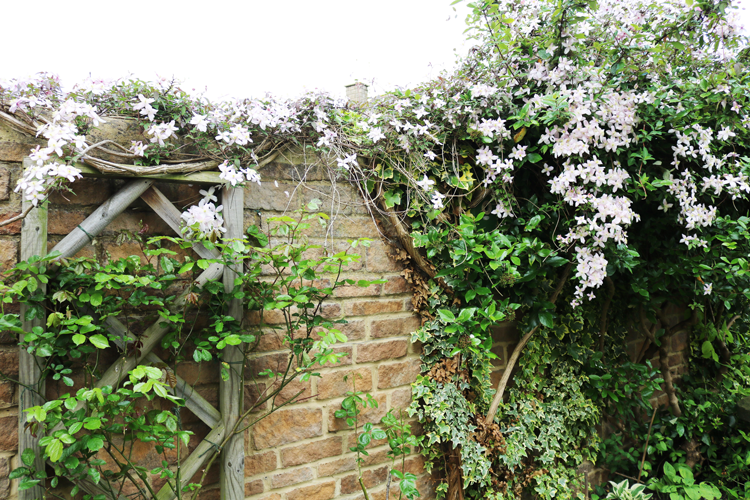 Along the walls, she has a lot of white climbing Clematis that give the garden a very pretty, fantasy-like atmosphere that completes the vibe of an 'Old English cottage'. I read a lot of books about fairies living in people's gardens when I was younger, and always imagined them hiding beneath the Clematis when anyone approached. 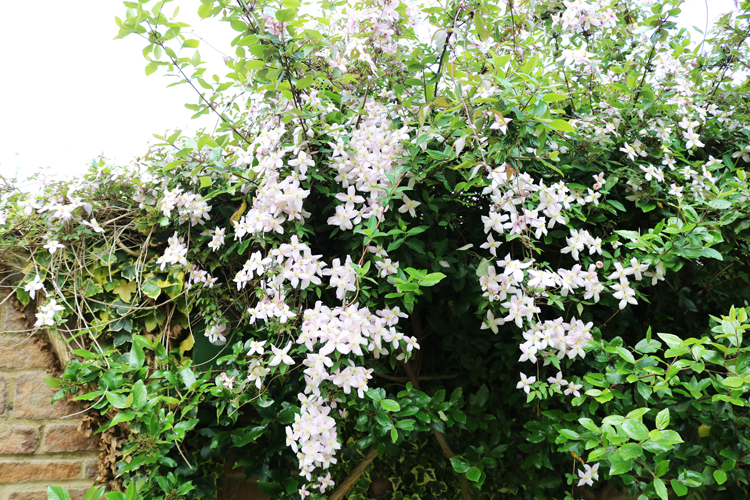 These flowers grow very quickly and apparently don't need much in the way of pruning. I hope you enjoyed this post supporting the great British Flower Week, and I wanted to say a special thanks to FourWalls for sponsoring this feature and providing some of the flowers pictured above! Do you have many flowers inside/outside your home?